Interview with Dr Cathy Foley Leading Australian scientist . “I suppose the motivation comes from realising that you eventually make changes and having had the recognition and seeing things I’ve set in place have a life of their own afterwards. ” Dr Cathy Foley. 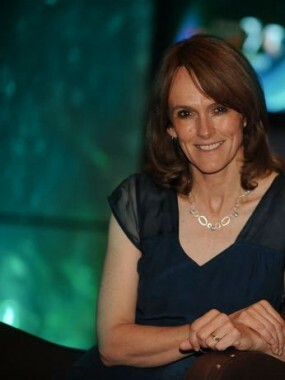 Dr. Cathy Foley is super smart, savvy and a big deal in the science world. 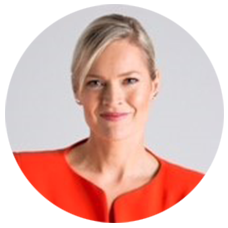 She’s the Chief of Australia’s innovation engine – the CSIRO’s Materials Science and Engineering division – where she’s responsible for around 900 people and a budget of more than $60 million. She was the first woman president of the Australian Institute of Physics and guess what else? She’s warm, witty and would be a great person to go out to dinner with. Her skills are well known when it comes to promoting the role of women in science: lobbying for childcare and developing a system for mineral exploration called LANDTEM which had led to the detection of $6 billion worth of mines around the globe. MARTINE HARTE: Cathy you were told you were dyslexic as a little girl. I’m curious as to how you processed that? What is it about you that took the information and turned it into a positive? DR CATHY FOLEY: Relentless teasing by my older brothers! It creates a huge amount of resilience and I think that’s probably why actually. Also it’s interesting; I was talking to Professor Mary O’Kane who is the chief scientist in NSW – and we both had the situation where our mothers died when we were quite young. I think that also adds to it because you know you can survive. You know you can survive and you just get on with it. You might feel bad for a little bit but then you get over it real fast. MH: You describe yourself as a “revolting teen” but your life was set on a different course at a school camp and you realised you wanted to make a difference in the world. What characteristics do you think you draw upon to make that difference? DR CATHY FOLEY: One of the things is compassion, I suppose. I was born into a not hugely affluent family but one that could pay its bills and send kids to a good school and all that sort of stuff. It was just a fluke that I got that and someone else didn’t. So a very strong feeling of that, and I sort of feel like ‘lucky me’ I guess. The other characteristic is this idea of fairness: how come someone’s got one thing and someone else doesn’t? Maybe that’s because I’m a middle child in a big family so therefore you think ‘that doesn’t make sense.’ I think everyone should have that. MH: You must be an exceptionally motivated person to wear as many hats as you do. You’re a wife, mother, scientist, manager – do you have any insights for people who want to tap into their motivation? DR CATHY FOLEY: That’s a good question. I think seeing things completed and realising it doesn’t all have to be done immediately. It’s actually taken me quite a while to get to that point, which is sort of recognising that life’s a long time hopefully and you’ve got time to make those differences. It doesn’t have to be done overnight. In fact, the best things come when it’s systemic and ongoing and self-perpetuating. I suppose the motivation comes from realising that you eventually make changes and having had the recognition and seeing things I’ve set in place have a life of their own afterwards. To some degree the science process helps you with that. The stuff I have had published in my PhD had a life of its own afterwards and that’s probably the case with other things too. MH: Do you consider yourself a feminist? DR CATHY FOLEY: Yeah absolutely. MH: The ‘F’ word is often regarded a dirty word particularly for younger women. What do you make of that? DR CATHY FOLEY: It’s tragic. It shows their lack of understanding of how things have changed in just a generation. I go back to Ruby Payne-Scott who was the first female radio astronomer in Australia. She had to lie about being married because she wanted to keep her entitlements. They asked her to pay the money back when they found out. She had her first child at 36 and never went back to work. MH: What advice do you wish you had ignored? DR CATHY FOLEY: Mm, oh I know. I went to a Christian conference and was told when you’re married you have to do everything together. My first marriage didn’t last. It is so much better the second time around. Divorce can lead to enormous personal growth. MH: Can you share something with us that you have never revealed before? Tagged in CSIRO, Dr. Cathy Foley, engaging women, making a difference, motivation, Women in Science, women trailblazers.